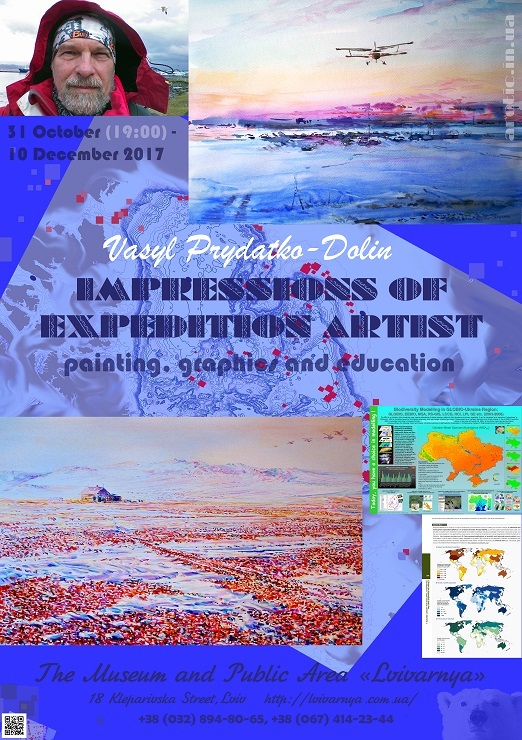 Vasyl Prydatko-Dolin’s art exhibition (watercolor, oil, as well as educational posters and maps) opens in ‘Lvivarnya‘ gallery in Lviv. It will last till December 10, 2017. (The e-catalog’s link can be accessed on request.) 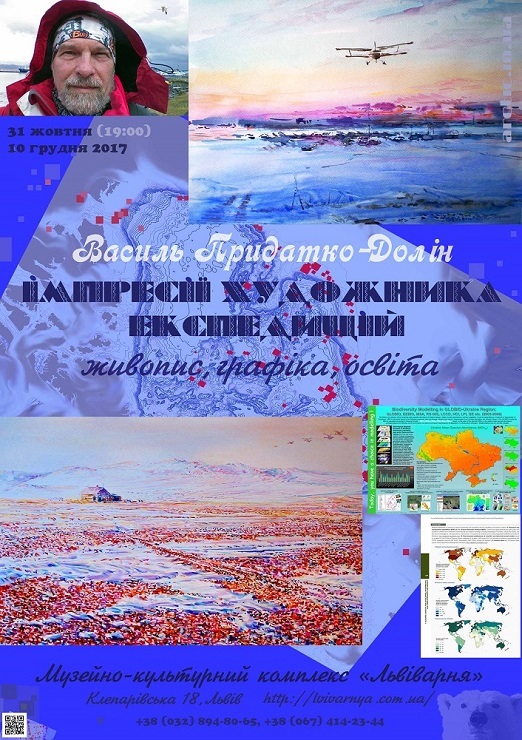 Details (ukr, ru): Ukraine Art News, Lvivarnya, Carlsberg Ukraine and LVIV-ART.